Nice rental income from this sound side home in Kinnakeet Shores with private heated pool. 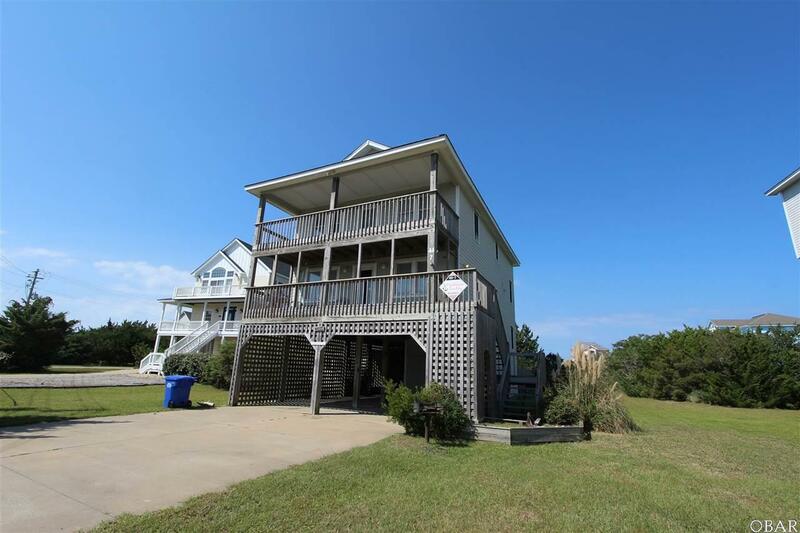 Kinnakeet Shores offers additional pool and tennis amenities, sound and ocean access. "Nautilus" has a comfortable floor plan with 4 bedrooms and 3 baths. The home offers covered parking, outdoor shower, pool, hot tub, double decks, game room and storm shutters. The kitchen/dining/large family area is on the second floor for those who prefer not to walk as many stairs. Nautilus is well kept and had over $36k in rental income in 2016 and has approximately $36 in 2018!